Croatia is one of Europe’s most stunning sailing grounds with more than 1,200 islands off this part of the Adriatic coast. 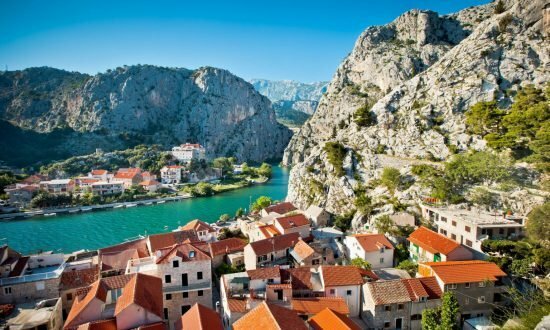 From our bases in Dubrovnik, Trogir, Zaton and, new for 2018, Pula, you can explore the Kornati and Krka national parks with their waterfalls, lively ports, uninhabited islands and protected coves. Sound like your kind of paradise? Get in touch to book your dream yacht charter and discover the wonder of the Adriatic for yourself. You’ll find thousands of islands, impressive waterfalls, westerly Mistral winds, hospitable towns, clean ports and lively fishing communities in this multicultural region. 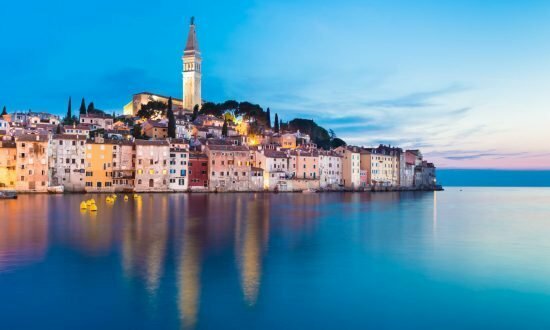 Bask in a warm, Mediterranean climate and explore the Adriatic’s blue-green seas and rocky coastline with secluded coves. We’re excited to introduce our newest Croatian base at Pula on the Istrian peninsula, a fantastic gateway to hop between islands in the Kvarner Gulf. Make for the Brijuni Islands and the Brijuni National Park, a densely wooded area that has some safari animals. Continue your adventure by sailing to Cres and Lošinj in the south where Greek myths echo among the islands’ villages of today. This is where it is believed Jason and the Argonauts took the golden fleece. Set sail for Rab to find secluded coves on the Kvarner Gulf’s most beautiful isle, or head to Pag to try the famous cheese at Kolan. 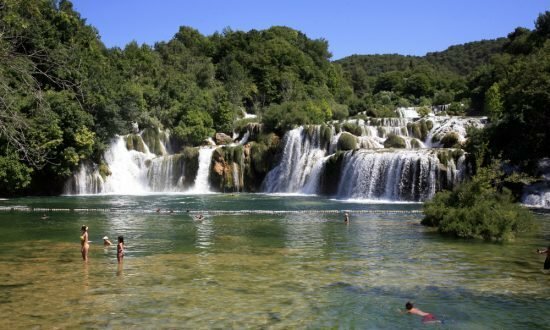 From our Zaton base, near Šibenik, you can sail up river and anchor a short walk from the impressive seven waterfalls at Krka National Park. You can also head to the Kornati National Park with its 140 uninhabited islands. It’s considered a “nautical paradise” with many reefs and inlets to explore amid calm waters. At our Trogir base, sail to Hvar for its nightlife, restaurants and beautiful inlets and coves. Or you can trace the Game of Thrones trail at the ancient walled city of Dubrovnik. Dream Yacht Charter in Croatia: Our fleet in Croatia has a diverse range of models and manufacturers of catamarans and monohulls. Our bases are centrally located along the Adriatic in the cities of Dubrovnik, Trogir, Zaton, near Šibenik, and Pula where you can discover wildlife and ancient walled cities. If you need help planning your charter, check out our inspirational itineraries section. Get in touch with our team to find out more. The time difference in Croatia is Coordinated Universal Time (UTC) +2 hours. Passports valid for 3 months beyond the date of departure are required for American, Australian, English and Canadian travelers, but no visa is required for stays under 90 days. Australian, Canadian and US citizens must have a return ticket in their possession upon entering Croatia. Croatia allows EU nationals to enter the country with a valid national identity card (no passport or visa required). The Croatian Government requires all recreational skippers chartering Croatian flagged vessels to have an International Certificate of Competence (ICC) license. Talk to us to make sure you have the correct documents before you travel. You’ll find great bus networks if you want to explore ashore and, if you want to hire a car, the road layout is easy to understand and road surfaces are in good condition. Taxis are expensive with fixed fares. For specific information about restrictions, visit the EU’s website. The currency is Kuna (Kn). Visa, MasterCard and American Express are widely accepted but you may be charged a service fee by the local establishment if you pay by card. ATMs are easily found and banks are open Monday to Friday (7:00am to 7:00pm) and Saturday (7:00am to 1:00pm). Getting online is easy with plenty of Wi-Fi spots across independent cafes and restaurants. There are internet cafes in Dubrovnik and in some coastal towns. You will need an export license for artifacts with archaeological, historical, ethnographic, artistic and other scientific or cultural value. 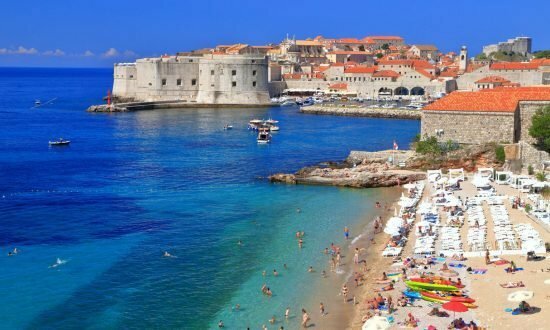 Temperatures in Croatia are governed by a Mediterranean climate in summer between 24°C (75°F) and 26°C (79°F) along the coast mid-June to mid-September. 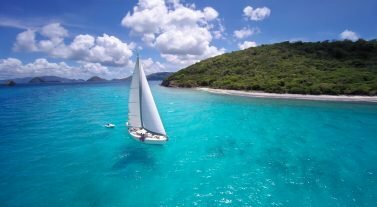 Sailing conditions include the westerly Mistral, a pleasant summer wind that blows in from the sea, reaching its peak force in early afternoon. It refreshes the air and chases away any mugginess. The south easterly Jugo, which blows warm, moist air toward the mainland in autumn and winter. The Bura is a cold, dry wind that blows from the mainland in sudden, powerful gusts, bringing dry air and cooler temperatures. 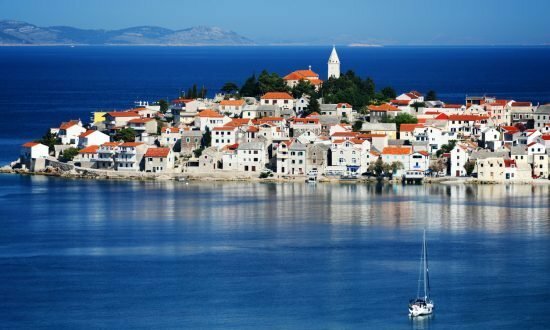 Hop between Hvar, Brac, Korcula, Vis, the Kornati, Krk and Ugljan and sail one of Europe’s most loved cruising grounds. Day 1: Explore the medieval walled city at Trogir which features architecture from the 13th century and don’t miss the 3rd century bas-relief of Kairos within the Benedictine Monastery of St Nicholas. Head to the port village of Maslinica on the Island Šolta, which overlooks an archipelago of seven islets. Day 2: Sail to the old fishing port of Komiža on the Island Vis. Discover the pebble beaches, relax and perhaps visit the blue caves on Bisevo Island. Get to know the local delicacies in the evening and eat at local restaurants. Day 3: Walk around Vis town and its 16th century villas. The island has a lush landscape that is brimming with vineyards. If you want to explore underwater, Vis is a popular scuba diving spot with plentiful marine life. Day 4: Make for Hvar, an island full of beautiful lavender and herbs, as well as a reputation for being rather upmarket. Walk around Hvar Town’s harbor, the piazza, the huge fortress that dominates the skyline and St Stephen’s Cathedral to get a great view from the bell tower. Day 5: Sail around to the north of Hvar to Vrboska, a 15th century village near UNESCO-protected Stari Grad Plain. Marvel at the patchwork of paths and walls that cross the agricultural flats. Day 6: Set sail for the island of Brac and Milna on its west coast. You’ll find a wonderful harbor, known as the bay of a thousand ships, where you can enjoy fantastic local food and wine. Day 7: Head back to Trogir to disembark. Day 1: Board at our base in Zaton. Visit the ship for a safety briefing, then dine in the village and spend the night. After a quick sail, you’ll reach the picturesque island of Prvic. The atmosphere of the island is like no other – the quaint villages of stone houses exude tradition and history. Day 2: After breakfast, cruise to Kornati Island. En route, stop between the islands of Kaprije and Kakan for a swim in the gleaming Adriatic. In the Bay of Opat, hike up the hill for a beautiful view of the islands. Day 3: Depart via the beautiful Kornati Channel. Stroll through the picturesque fishing village of Sali to soak up the island life. Dock in front of the village and choose a spot to eat dinner ashore. Day 4: Anchor overnight in the beautiful Jelici Bay after a stopover at Telascica. Day 5: Sail to the island of Murter, which boasts several restaurants and lively nightlife. Day 6: A sail through the “Sea of Murter” takes you along the side of the Šibenik archipelago into the Krka River. The waters are rich in delicious fish, squid, and other delicacies. Skradin, the village at the end of the channel is known worldwide. Stroll through the village streets and taste the local specialties. It’s the ideal place to buy souvenirs and local products such as olive oil. Day 7: Stroll in the village of Skradin. In the afternoon, drop anchor for a while before returning to Šibenik and Zaton. Our Šibenik Base Manager will be pleased to welcome you on arrival. Fly direct to Split airport (SPU), which is 70km from our base, or Zadar airport (ZAD), which is 80km away. We can arrange airport transfers on request and both airports are a 50-60 minute taxi ride away, costing around €240 for a round trip. Make sure your passport is in date and valid for the duration of your stay and look under our Handy Info section for visa advice! Tune into CRS Split radio, VHF Ch 7/21/23/28/81 for Croatian and English weather forecast morning four times a day. For more info: http://www.plovput.hr/en/radio-service/maritime-safety-information-msi. Our Trogir Base Manager will be pleased to welcome you on arrival. Fly direct to Split airport (SPU), which is 8km from our base. We can arrange airport transfers on request and the airport is an 8-minute taxi ride away, costing around €100-180 for a round trip. If you are coming by road, there is parking at €10 per day. Make sure your passport is in date and valid for the duration of your stay and look under our Handy Info section for visa advice! Our Dubrovnik Base Manager, Maroje Zaja (cell: +91 6219 3222, office: +385 99 3174 831 and email croatia@dreamyachtcharter.com), will be pleased to welcome you on arrival. Fly direct to Dubrovnik airport (DBV), which is 22km from our base. We can arrange airport transfers on request and the airport is a 30 minute taxi ride away. Make sure your passport is in date and valid for the duration of your stay and look under our Handy Info section for visa advice! Only take soft bags and not suit cases as they are too cumbersome on board. On land electricity is 230 Volts –50Hz (pack a type C and F adaptor). Area code from abroad is +385-22 + 5 figures of your correspondent). Our Pula Base Manager (email: croatia@dreamyachtcharter.com), will be pleased to welcome you on arrival. Fly direct to Pula airport (PUY), which is xxkm from our base. We can arrange airport transfers on request. Make sure your passport is in date and valid for the duration of your stay and look under our Handy Info section for visa advice!